During my recent visit to Oxford, I was lucky enough to spend some time studying in the wonderful Duke Humfrey’s Library. This extraordinary space is the oldest reading room in Oxford University’s Bodleian Library, with parts of it dating back to 1487. 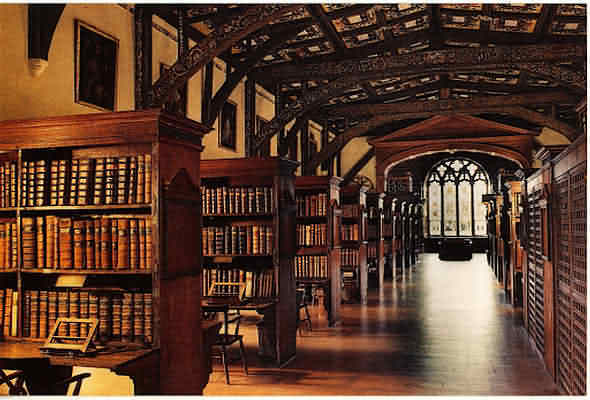 Duke Humfrey’s Library is split into three parts; the original medieval section, which was reconfigured in 1602, the Arts End which was created in 1612 and the Selden End which dates from 1637. 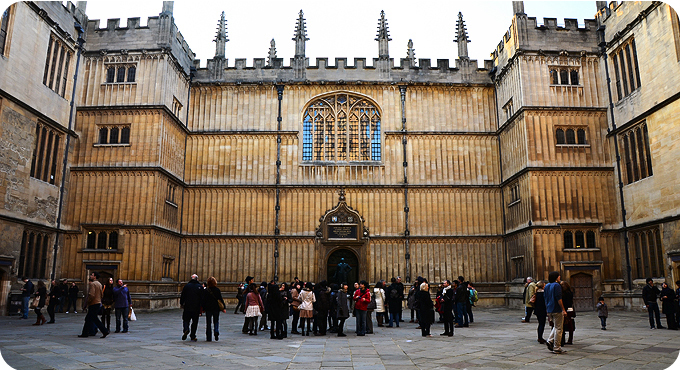 It is named after Humfrey of Lancaster, 1st Duke of Gloucester, a son of King Henry IV who donated his important manuscript collection to the University. Since my visit I discovered this lovely print, below, showing the library in the mid-17th Century. Amazingly, apart from the rather dashing costumes of the students, not much has changed in the last 350 years. With its narrow rows of old oak desks below shelves filled with ancient volumes, its beautifully painted ceiling and high walls lined with historic portraits, Duke Humfery’s Library is a magical, if rather distracting, place to study! I spent a few days in Oxford last week, a beautiful town that is most definitely packed with magic. 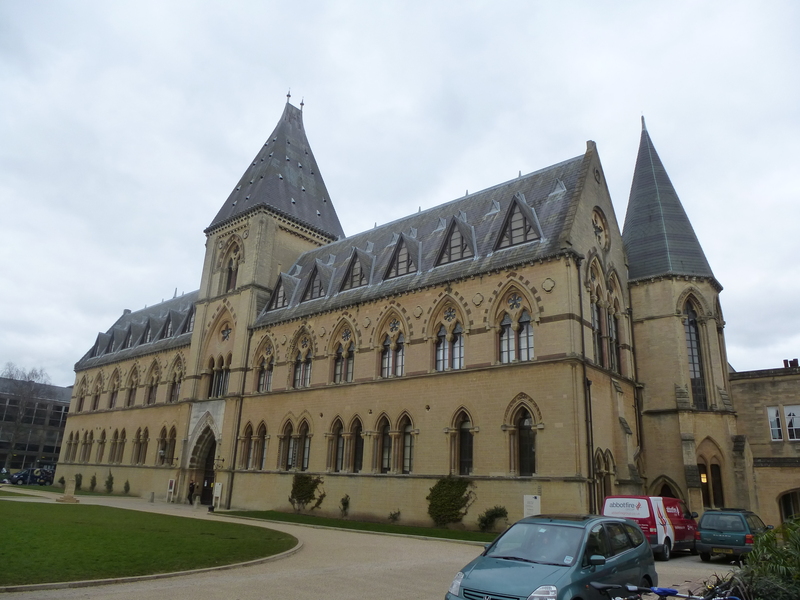 One of the most intriguing places that I visited was the Pitt Rivers Museum, situated in a suitably gothic building and home to Oxford University’s vast anthropological and archaeological collections. Originally founded in 1884 by the magnificently named Lt-General Augustus Pitt Rivers, the original donation of 22,000 objects has now grown to an amazing 500,000, with many of them packed into the maze of glass cases that fills the museum today. The museum collection includes weird and wonderful items from all over the world, many of them collected and donated by explorers, missionaries and scholars during the last century. I wandered round on my own, but quickly noticed lots of eyes staring at me from spooky tribal masks, ancient sculptures and cases full of colourful puppets. 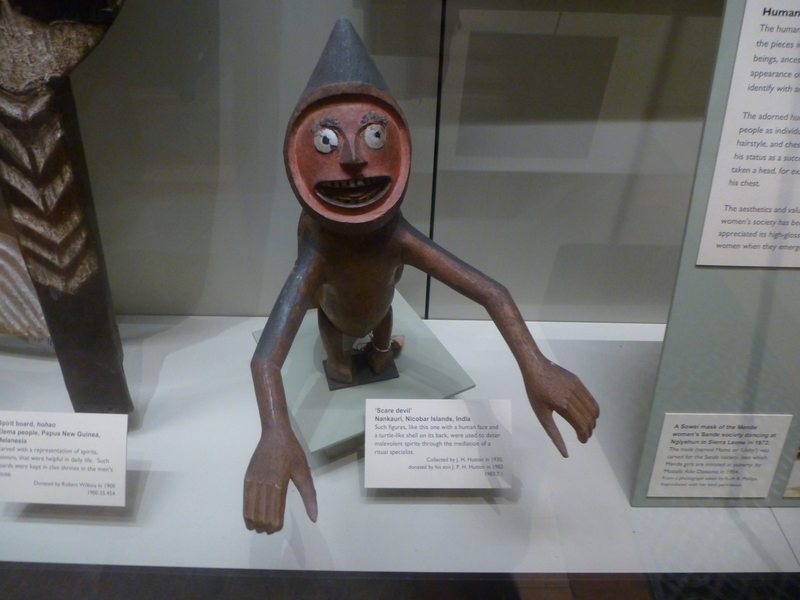 This Indian ‘Scare Devil’, which was believed to keep malevolent spirits at bay, sent a shiver down my spine. There also seem to be an inordinate number of human skulls, many of them adorned in strange, magical ways. I was particularly drawn to one skull from Nigeria which had been elaborately decorated with feathers as part of local burial rites. 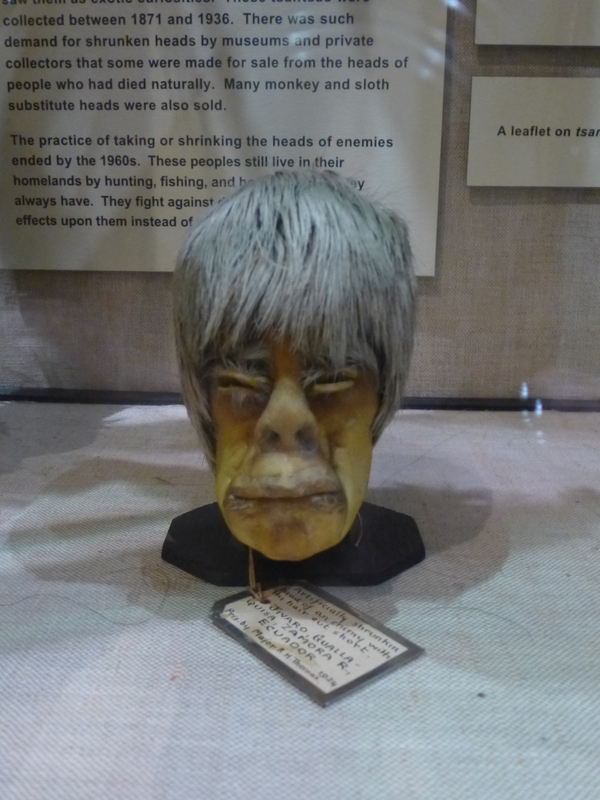 But my favourite objects were definitely the shrunken heads. Originally from the Upper Amazon region of South American, these creepy little heads had their skull and brains removed before being filled over and over again with warm sand for a period of several months, gradually shrinking them down until could be strung onto a cord which was worn round the neck during religious ceremonies. 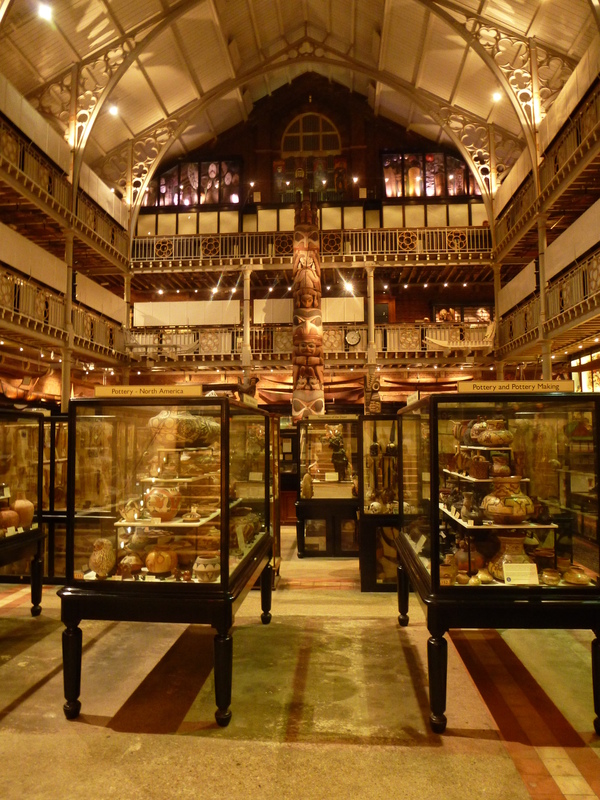 There are so many incredible things in the Pitt Rivers Museum, it is the kind of place that you could spend hours wandering around. Every glass case is packed with treasures, some quite mundane, some incredible bizarre, some fairly new, others very, very ancient. 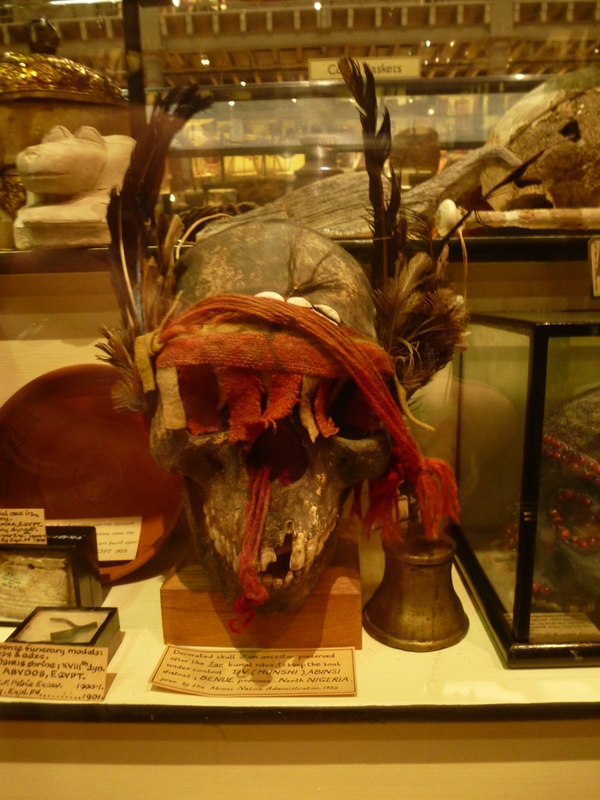 Magic-seekers of all ages will love this place, although with all those skulls, shrunken heads, tribal masks and puppets, a visit here can certainly be a rather unsettling experience.